[Tuesday, March 2, 2010] On Saturday, New Mexico Gov. Bill Richardson signed into law the "New Mexico Space Flight Informed Consent Act," following similar legislation already passed in Virginia and Florida. [Thursday, March 4, 2010] The following paper provides recommendations for the transition to a commercial-crew vehicle to the ISS which leverages the experience gained in the operation of the Space Shuttle, the ISS, and in the design of Constellation. 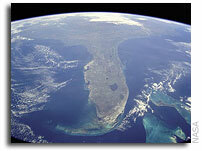 [Thursday, March 4, 2010] As members of the Florida congressional delegation, we write to express deep concerns with the Administration's FY 2011 budget request as it relates to the future of America's space program. [Sunday, March 7, 2010] Richard O. Covey today announced his intentions to retire as President and Chief Executive Officer of United Space Alliance, effective March 26, 2010. [Monday, March 8, 2010] The Open Sky Technologies Fund (OSTF) is an early-stage venture capital fund aimed at nurturing the most promising business opportunities arising from space technologies and satellite applications for terrestrial industries. 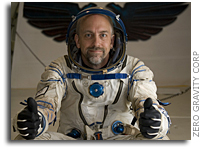 [Monday, March 8, 2010] An historic 12-day journey to space by legendary game developer and space explorer Richard Garriott will have its world premiere at this year's South by Southwest (SXSW) Film Festival in Austin. [Monday, March 8, 2010] NASA today announced its founding partnership of Launch, an initiative to identify, showcase and support innovative approaches to sustainability challenges through a series of forums. [Wednesday, March 10, 2010] On March 9 SpaceX performed our first Static Fire for the Falcon 9 launch vehicle. We counted down to an T-2 seconds and aborted on Spin Start. [Thursday, March 11, 2010] Today, Zero Gravity Corporation announced the establishment of the ZERO-G WEIGHTLESS LAB. The specially designed two-day program provides the only commercial access to Martian, Lunar, zero and hyper gravity environments for scientific research. [Thursday, March 11, 2010] NASA has announced opportunities to test emerging technologies during flights on an airplane that simulates the weightless conditions of space. [Friday, March 12, 2010] Space Florida is pleased to announce that it has secured Real Property Licenses for Space Launch Complexes 46 and 36 at Cape Canaveral Air Force Station. [Saturday, March 13, 2010] Bigelow Aerospace seeks professional astronauts to fill permanent positions. Applicants need to have completed a training program from their government or recognized space agency and have at least some flight experience on a recognized space mission. [Saturday, March 13, 2010] Today, SpaceX successfully completed a test firing of the inaugural Falcon 9 launch vehicle at Space Launch Complex 40 located at Cape Canaveral. »» "Revenge of the Nerds" meets "American Idol" - Help Select the top high school innovators! [Monday, March 15, 2010] Help 25 of the top high school innovators design the future! On March 29th, the Spirit of Innovation Awards challenges YOU to vote for your favorite teams and help select this year's "Pete Conrad Scholars!" [Tuesday, March 16, 2010] My first message to you is that this budget is good for NASA because it sets the agency on a sustainable path that is tightly linked to our nation's interests. [Wednesday, March 17, 2010] As the current plan goes, the move of an aging Titan 1 ICBM from its current location at NASA ARC to its new home next to Building 596 starts around 7:30 AM PST on 18 March 2010. »» First Captive Carry Flight for Virgin's "Enterprise"
[Monday, March 22, 2010] VSS Enterprise completes her first captive carry... Virgin Galactic announced today that VSS Enterprise has completed her inaugural captive carry flight from Mojave Air and Spaceport. [Tuesday, March 23, 2010] In recent years, the transfer of space technologies and the commercial application of space systems have generated countless business opportunities. [Tuesday, March 23, 2010] The Regulatory Secretariat will be submitting to the OMB a request to review and approve an extension of a previously approved information collection requirement concerning rights in data and copyrights. [Friday, March 26, 2010] Space Florida is pleased to announce that it is currently engaged in dialogue with Lockheed Martin and ATK regarding the use of Space Launch Complex 46 at Cape Canaveral as a key Florida launch location for the next generation of Athena rockets. [Friday, March 26, 2010] Virgin Galactic's SpaceShipTwo and Masten Space Systems' Xombie vehicle both completed milestone test flights recently over the Mojave Desert, another step on the path towards commercial suborbital flights to space. [Monday, March 29, 2010] Space Exploration Technologies (SpaceX) announces the successful activation of its new Dragon spacecraft communication hardware aboard the International Space Station (ISS) during a series of operations conducted in January and March. [Monday, March 29, 2010] Specifically, we found that the Program's draft request for an exception to using the metric system does not meet the criteria for exceptions under NASA Policy Directive (NPD) 8010.2E. [Monday, March 29, 2010] Dr. Alan Stern and Dr. Dan Durda have begun a new element of spaceflight training with a series of jet fighter flights in F-104 aircraft operated by Starfighters Inc. at the Kennedy Space Center, Fla.
[Tuesday, March 30, 2010] NASA has awarded contracts to eight aerospace firms for Rapid Spacecraft Acquisition III spacecraft and related services. [Wednesday, March 31, 2010] DigitalGlobe today announced that its industry-leading content library now contains more than one billion square kilometers of earth imagery, 33 percent of which is less than one year old.